I’m always on the lookout for fun physical computing gadgets to teach young people basic electronics, soldering skills, and of course how to code. If they work with a Raspberry Pi then I get even more excited. Some time last year I happened across a Kickstarter campaign that ticked all my STEAM boxes from a small company called Soldering Sunday established by a group of adventurous makers from Monroe, New Jersey, USA. Their campaign was called CHIP – an electronics kit with character and immediately grabbed my attention. Thankfully I was not alone and the campaign was successfully kickstarted. Thanks to @solderingsunday for my #chip kit. I upgraded his leds to multi colour! 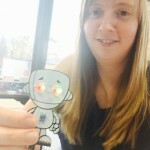 Chip is part of a group of ‘Pixel Pals’ designed to grab the attention of young makers, encouraging them to explore new skills and to play with technology in a new way. 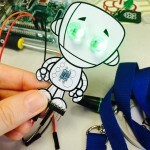 He consists of a circuit board, two LEDs, two resistors and some connecting pins. 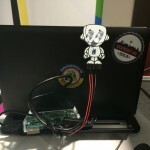 I had to build him myself before connecting him to the Raspberry Pi GPIO pins and programming his eyes with Python. I enjoyed the activity so much that Chip now accompanies me everywhere. In fact, he has made many a long trip. He appeared in Australia for PyCon as part of my Physical Computing talk to teachers and has even featured in the background of a BBC Technobabble episode back home in Cambridge! I’ve been worrying that during my travels, Chip might be getting a little lonely. 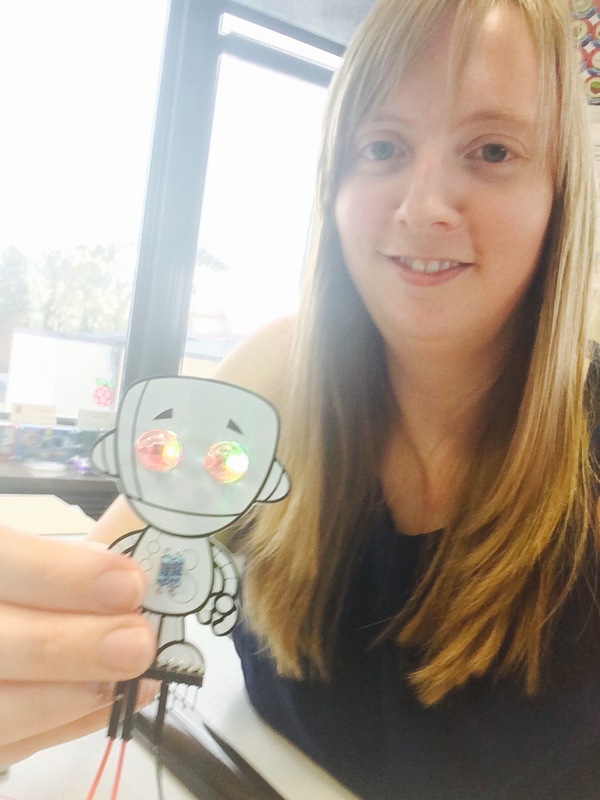 Lucky for me then that Soldering Sunday have launched their latest Pixel Pal, called Buzz! Soldering Sunday is raising funds for Buzz – A New Pixel Pal on Kickstarter! Buzz is an easy and fun educational kit that builds STEAM / STEM skills and grows from a project to a friend you can program. 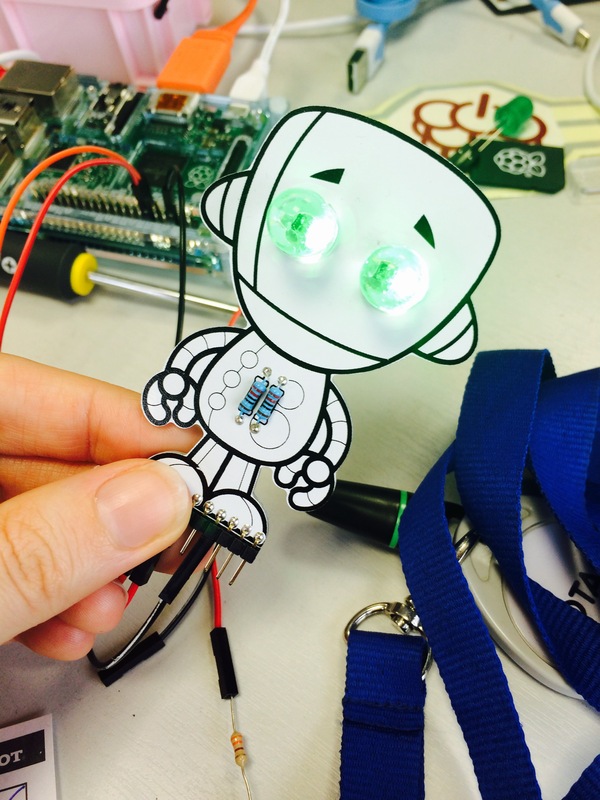 When you plug Buzz into a Raspberry Pi or an Arduino, you can control his eyes and his sounds with programming. Buzz is an excellent way to get kids involved in Computer Science and take part in the Hour of Code initiative. We already have Arduino and Raspberry Pi tutorials online for Chip and with your support we will have the Buzz tutorials available shortly. Please help to support the Buzz Kickstarter campaign so that I have more toys to play with. You won’t be disappointed! I’m really finding it interesting with the Raspberry Pi. I do not have a comment rather I do have a question. 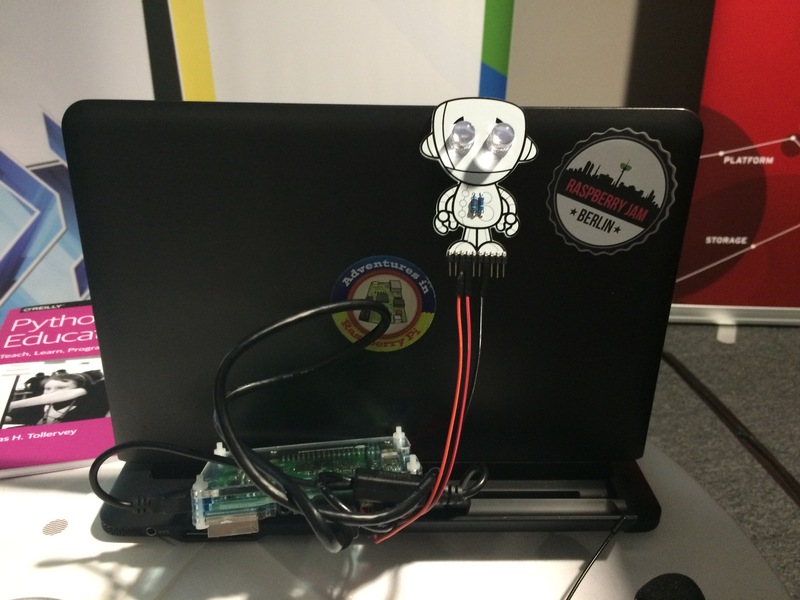 I am undergoing a project using a Raspberry Pi. My project is connecting a door bell sensor with a Raspberry pi and the Pi connected to a smart phone. Whenever someone rings the door bell a signal is sent to the Raspberry Pi and that signal is converted in to a message and send to a smart phone. My big problem is the programming the Raspberry Pi to able to communicate with the smart phone. Also for the smart phone to able to send a message back to the Raspberry Pi. just saw it at the Pi Hut. Unfortunately its sold out at the moment! Dedicate just one hour to learning how to program with Raspberry Pi as part of Hour of Code Week.